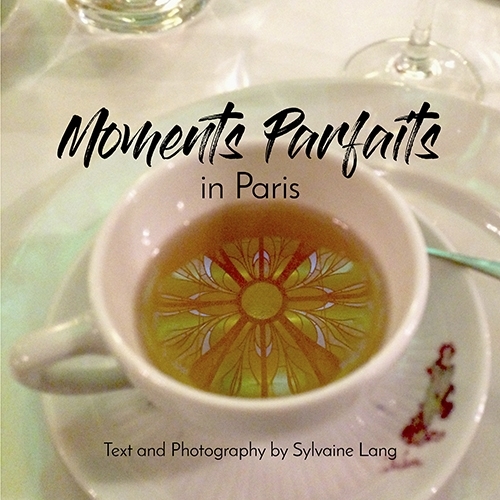 I’m thrilled to introduce my book Moments Parfaits in Paris. 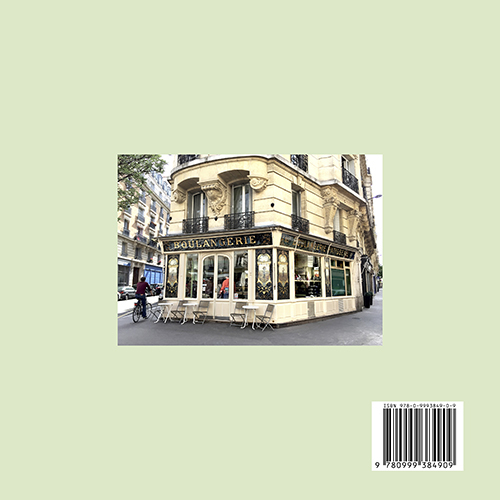 Part memoir and part visual journey, it is a collection of forty vignettes that pair some of my favorite photographs of Paris with a personal anecdote. I also include historical notes and travel tips for each location. Here is a sample page below. Moments Parfaits in Paris transports you to every arrondissement of the city so you can experience it through my eyes. All stories and photographs are my own and they have not been published on the blog. Take a look at the Table of Contents. Every book has its own genesis. Here is an excerpt from the preface that explains why I wrote Moments Parfaits in Paris. … Many expatriates will tell you they are ambivalent about calling any place “home:” after a while, they feel they don’t really belong anywhere. Thanks to unconventional career choices –at least by French standards– my personal experience has been different: I truly have two homes and two cultures. My numerous, lengthy trips back to France allowed me to keep one foot in each country. And yet, the physical and emotional distance also altered the way I look at the country of my youth. I’ve been granted a new pair of eyes and a new mindset. This dual perspective has challenged my travel habits… The way I document my travel in photographs has morphed: whether I’m shooting a familiar place or a new scene, I try to capture a feeling, a moment. Five years ago, my father was diagnosed with ALS. As the implacable illness was robbing him of his motor functions, his mind and sense of humor remained as sharp as ever. He was a gifted storyteller and we spent countless days reminiscing about his parents, his youth, and my own childhood. We shared some good laughs and a few tears. The journey back in time and the exchange of memories prompted me to revisit some specific locations in Paris that we had discussed. I wanted to see how much they had changed. I found that places truly come to life when they are infused with meaning: our narratives transcend their intrinsic beauty or banality. Curious? Intrigued? Come along and discover 40 locations in Paris through an insider’s eyes. There is so much to enjoy through these personal and very well written recollections, from many humorous moments to those more serious and personal. In all cases this is a pleasant tour of Paris through the eyes and camera lens of someone who truly loves the city. France On Your Own. Keeping one foot in each country has given her a new perspective on France and led to this engaging and lyrical book, where 40 of her own photographs of Parisian locations are accompanied by personal anecdotes and helpful advice. France Magazine.